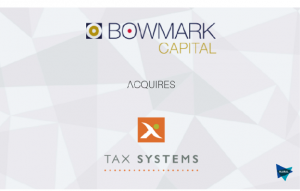 Bowmark Capital, the mid-market private equity firm, has completed the take-private of AIM listed Tax Systems Plc, the leading provider of corporation tax software and services in the UK and Ireland, valuing the business at £114m. Plural supported Bowmark with commercial due diligence. Founded in 1991, Tax Systems’ portfolio of solutions automates the end-to-end tax compliance process, enabling the company’s clients to increase the accuracy of their tax reporting, reduce the risk of non-compliance and free up the tax function to focus on value-adding tasks. Clients include a large proportion of the FTSE 250 and 23 out of the top 25 accounting firms. As HMRC’s new “Making Tax Digital” initiative is rolled out, the Bowmark investment will enable the company to accelerate the development of new products and services for the evolving needs of corporates and accountancy firms. Plural’s team was led by Jim Easton, Partner, and Jonathan Dufton, Director.